I first tasted pumpkin butter at the San Francisco farmers market and was hooked. Fall squash had transformed into a rich, smooth spread laced with apple cider, honey, and plenty of warm spices. It reminded me of the creamy, spicy sweetness of pumpkin pie. These days, I make a big batch of pumpkin butter at home (see the recipe) to keep in the fridge all season long—and because my recipe toes the line between sweet and savory, there’s no cloying Pumpkin Spice Latte effect. While I eat most of it at breakfast, spreading a spoonful (or, ok, three) on cream cheese–topped toast, this silky preserve is the perfect vehicle for adding complex pumpkin flavor to almost anything. 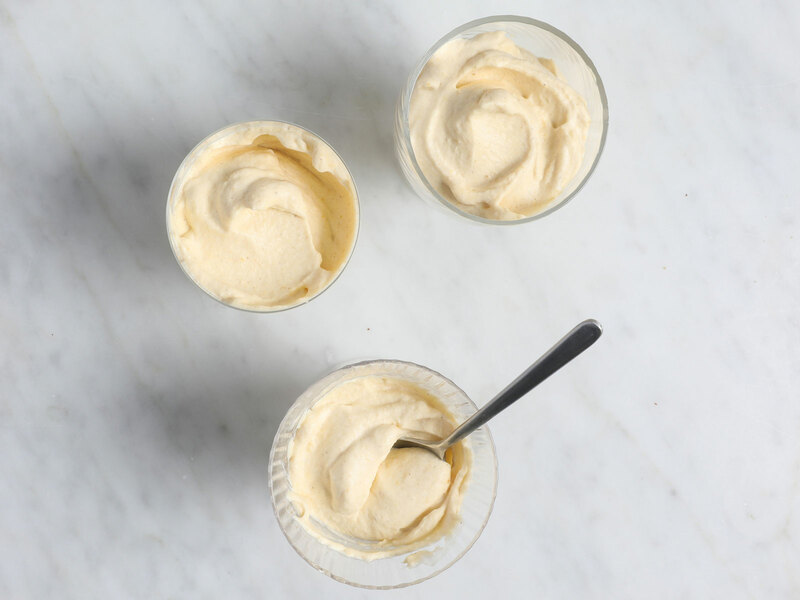 Stir it into whipped cream for a mousse-like dessert or coffee topper. 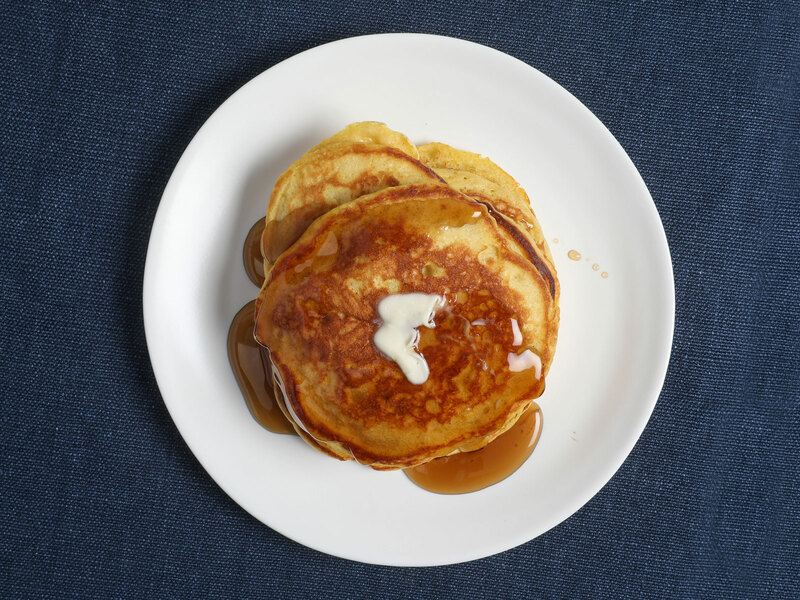 Add a large dollop to your favorite pancake batter for an autumnal twist. Or go savory and melt some into a mixture of browned butter, sage, shallots, and crushed red pepper for an addictive pasta sauce. See below for three great ways to put it to work. A classic browned butter and sage sauce gets a boost of fall flavor from pumpkin butter. 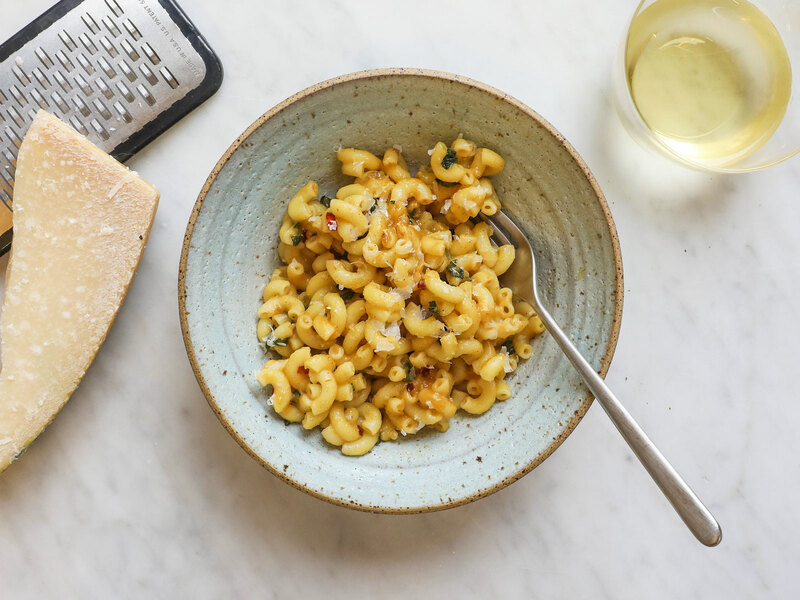 Be generous with the Parmigiano-Reggiano, its salty, savory bite adds the perfect hit of umami flavor to this decadent pasta dish. With nutty, spicy flavor from the prepared pumpkin butter, this mousse comes together in minutes. Tang and body from the crème fraiche, and an airy, light texture from the whipped cream complete this super simple fall dessert. Serve with an extra dollop of whipped cream, or with some sugar cookies on the side.